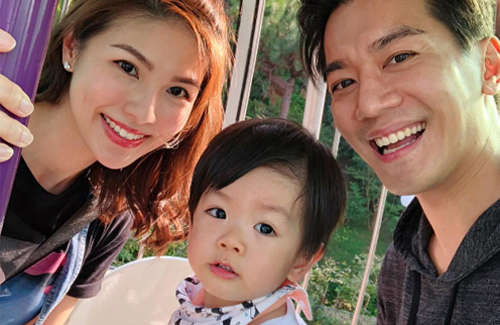 It has been four years since Lai Lok Yi (黎諾懿) married Nicole Lee (李潔瑩), a former Miss Hong Kong contestant and an heiress to her father’s Hong Kong skincare clinic business. 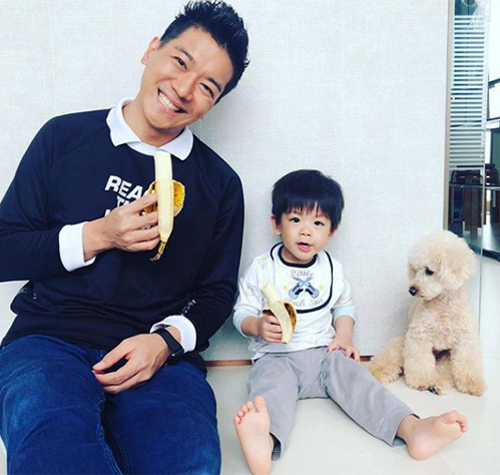 Although the couple are happily married and already has a son, Lok Yi still has to deal with negative press calling him “Soft Rice King,” a slang for men who depend on women for financial support. Despite the negative press, Lok Yi takes the offending nickname in stride and faces the comments confidently. Confessing that he really depends on his wife, Lok Yi said that he believes that his wife brings him luck. I was surprised that TVB had not promoted Lai Lok Yi much in the last 2 years while they were so short of actors. Lai Lok Yi had improved quite a bit in his acting skills, and he is tall and decent looking. I did not like him in the past as he had lazy intonation, but he was able to get rid of this problem two or three years ago. I wish him lots of luck for being so loyal to TVB. only past few years he got rid of it is bit late though since hes in his 40s now.